What I really love about blackened chicken is that it requires minimal effort and only includes a handful of ingredients. 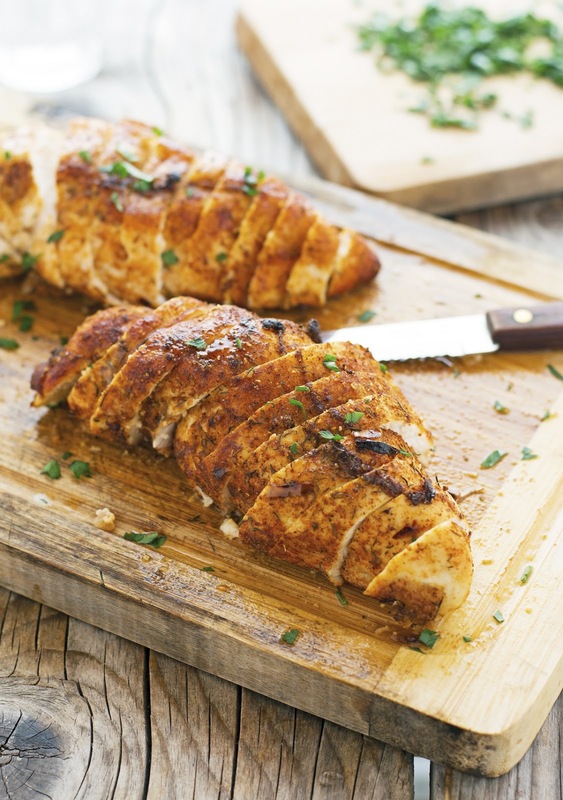 The herbs and spices create a seared blackened crust on skinless boneless chicken breast that packs a huge amount of flavor and keeps the chicken succulently moist. This chicken is anything but short on flavor. It also isn’t spicy per se, unless you want it that way by increasing the cayenne pepper. Totally your call. 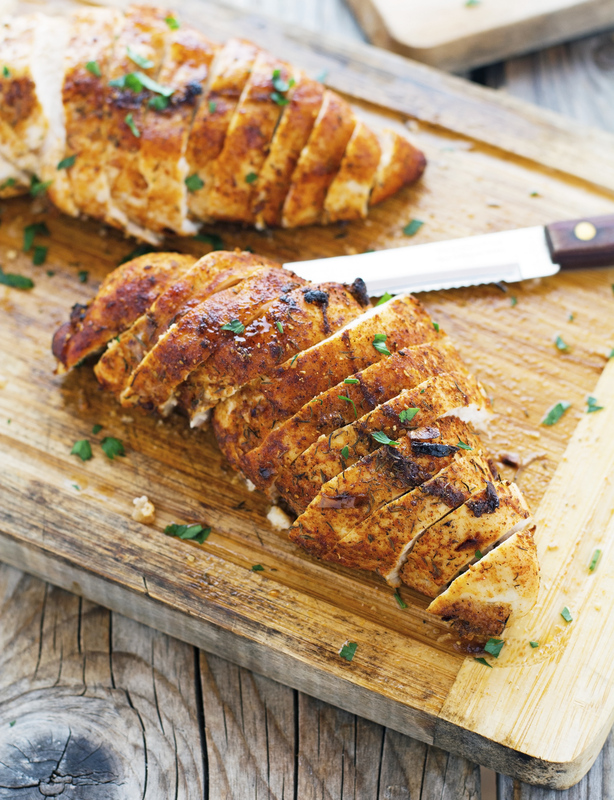 We all know that chicken breast can be boring, but blackened, it’s anything but. 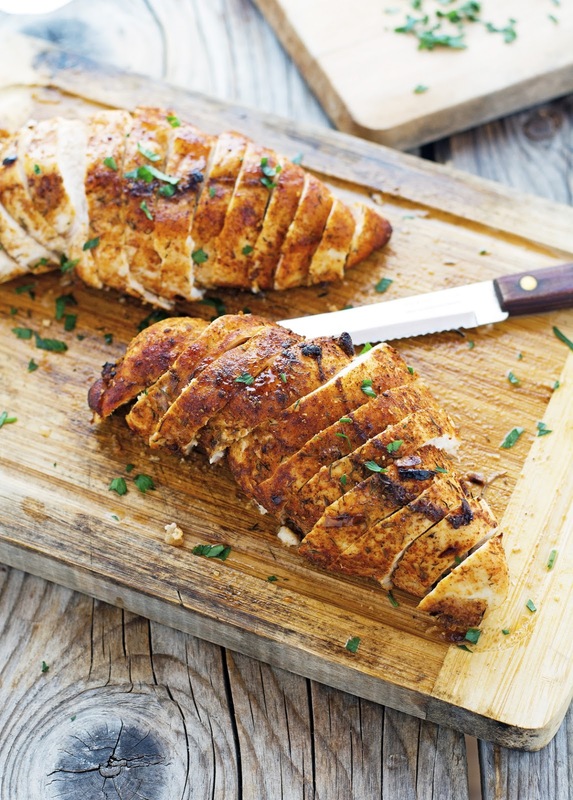 Easy Blackened Chicken Print this recipe! Set oven to broil and place a rack in the upper third of the oven. Lightly grease a rimmed baking sheet (or a cast iron skillet). Coat chicken breasts with olive oil. In a small bowl mix paprika, salt, cayenne pepper, cumin, thyme, white pepper, and onion powder. Rub evenly over top and bottom of chicken breasts, and place on the prepared baking sheet. Broil for about 18 to 20 minutes (or until the temperature registers 165°F on an instant-read thermometer.) Cooking time depends on how big the chicken breasts are and how hot is your oven, the most important thing is that the chicken is cooked through. Once cooked, remove from the oven and let cool for 5 minutes. Sprinkle with chopped fresh parsley (or cilantro), slice, and serve! One serving yields 157 calories, 6 grams of fat, 0 grams of carbs, and 26 grams of protein. I believe the politically-correct term for this dish is chicken of color. Sounds delish. I'm making it in a couple of hours.